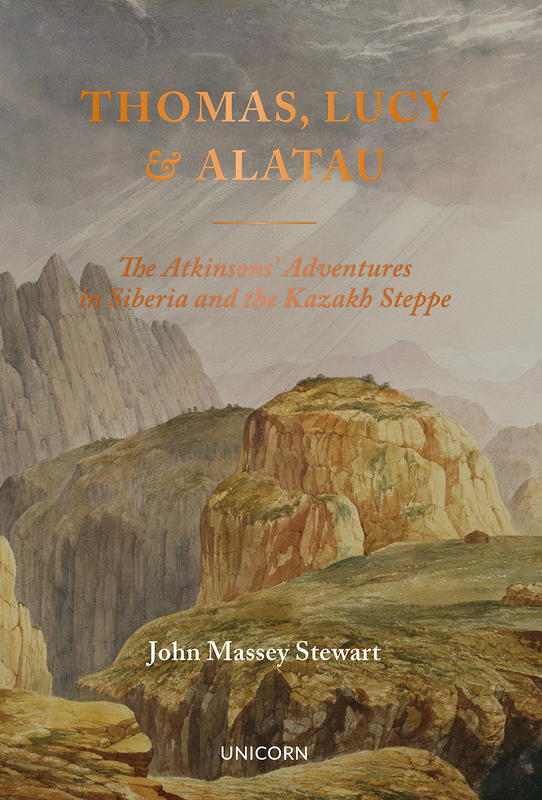 Thomas, Lucy and Alatau is the first full biography of an unjustly forgotten man: Thomas Witlam Atkinson (1799–1861), architect, artist, traveler extraordinaire, and author. Famous in his lifetime as “the Siberian traveler’, Atkinson spent seven years travelling nearly forty thousand miles through the Urals, Kazakhstan, and Siberia with special authorization from the Tsar. During his travels he produced more than five hundred watercolor sketches—many published here for the first time—of the often dramatic scenery and exotic peoples. He also kept a detailed daily journal, extensively quoted in this book for the first time. ​But this is also the story of Lucy, his spirited and intrepid wife, and their son, Alatau Tamchiboulac, named after their favorite places and born in a remote Cossack fort. They both shared Atkinson’s many adventures—enduring extremes of heat and cold, traveling on horseback up and down precipices and across dangerous rivers, escaping a murder plot atop a great cliff, and befriending the famous Decembrist exiles. Their true live adventures are sure to appeal to history and travel enthusiasts in equal measure. "Essential reading . . . . The Atkinsons were pioneers in every sense, and their immersion in a time and place was rarely matched. What is more, by emphasising the integral role of Lucy Atkinson, Massey Stewart makes a valuable effort to rebalance the gender prejudices of the period. These were, after all, not Thomas’s adventures alone. His life, his travels, and his accounts, were altogether richer for her involvement, and this is worthy of both recognition and celebration."